Jamal was very informative about what the Bible Society in Jordan does. Jordan is an Islamic country but anyone who comes to the Bible Society and asks for information on Christianity they can give it to them including a Bible. They told us many stories about people making inquiries and then coming to Jesus. 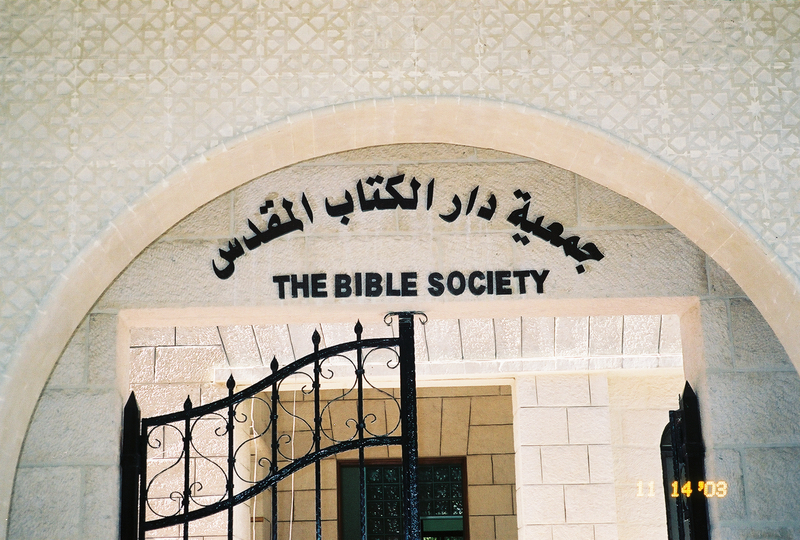 In Amman the Bible Society is housed in a beautiful building. We were given a tour and they have Christian books and children’s literature. We worked with a local church where Jamal and his family worshiped. Before we had left on the trip, the team we went with had taken a collection to purchase Bibles. While we were there we went to different children’s Sunday School classes and gave children’s Bibles to any child that didn’t have one. 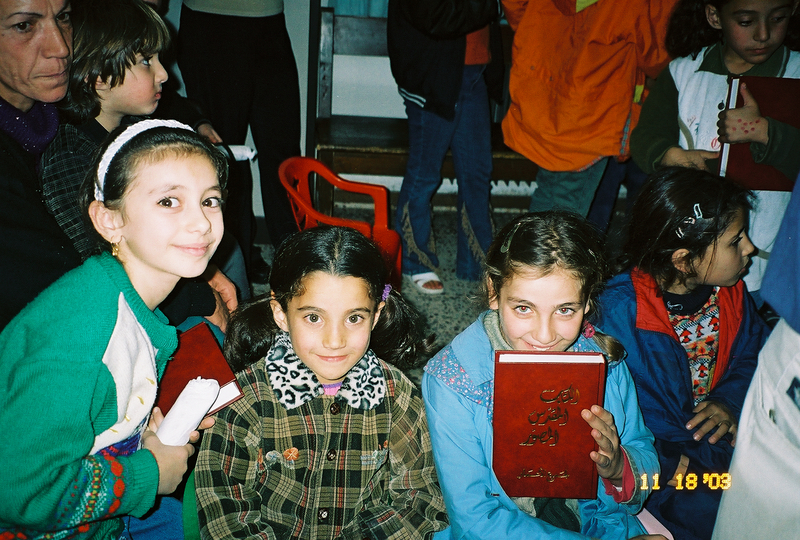 They were so thrilled to get a copy of God’s Word. 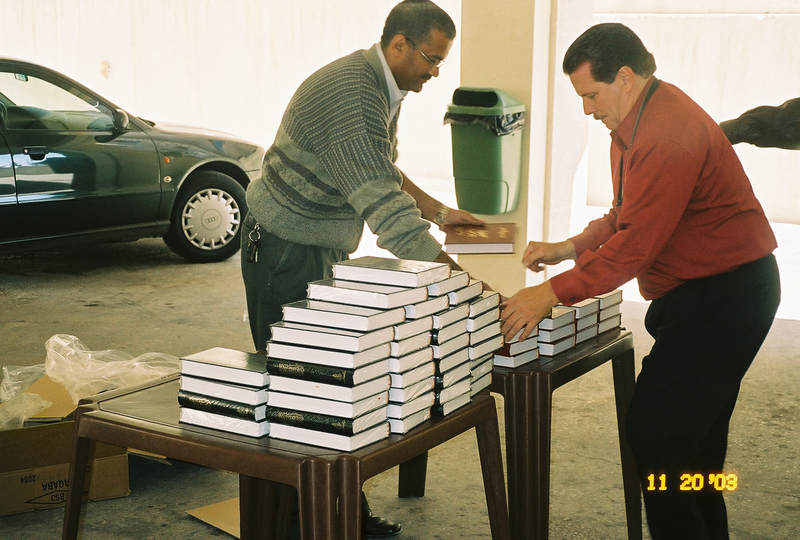 Putting out Bibles to be given to the people. We in this country are so blessed. We can go to any Christian Book Store and get any Bible we are looking for. But that is not all, we can go to the local Wal Mart or book store and get a Bible. I have even seen bibles in the book and magazine section of some grocery stores. When you are in a country where the Word of God is scarce you begin to understand how precious the Bible is. 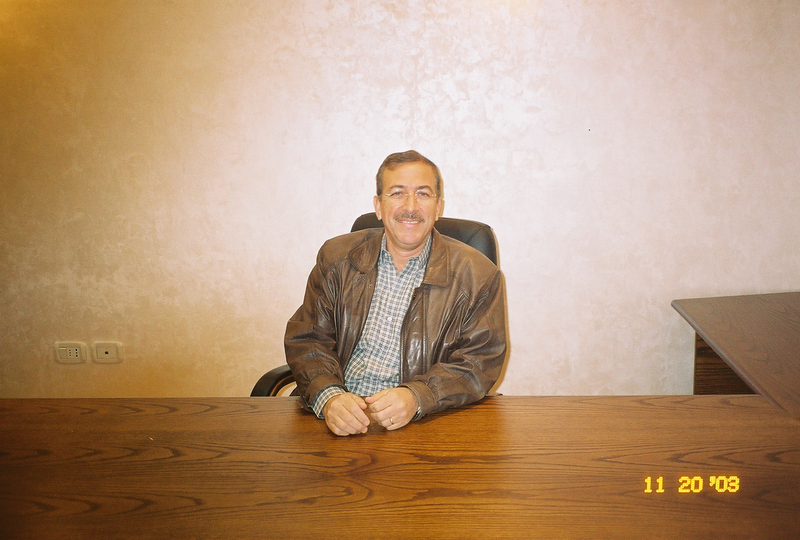 Next time I will tell you about another congregation we ministered with in Amman, Jordan. Until that time be thankful for our freedom of religion.